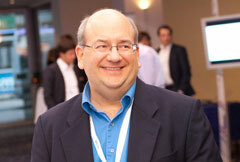 This year at SMX Israel, John Mueller will be representing Google by answering questions in two sessions. John is one of my favorite Googlers, so when he asked to come to SMX Israel I was incredibly excited. I was however sad that he had to cancel his trip and not be in person at the event. He will however be live over Google+ Hangout during his two sessions. I am praying the internet and everything works smoothly. That being said, I wanted to let anyone ask John questions for him to answer live at the event. I will use this list as a starter list and then field questions from the audience. The Q&A with John Mueller session is an hour long, which is 15 minutes longer than the other sessions. Please add comment below with what you want me to ask him during the open Q&A panel. We will allow questions from the audience, but I want a bunch of seed questions prior to the session. Please tell your friends to submit questions here or in the Google+ thread over here.